Muscle car fans can rejoice, the Shelby GT500 will continue to be produced into the next generation Mustang coming in 2014. With all the news of full-electric vehicles, hybrids, and carmakers moving to small fuel-efficient cars, it’s comforting to know that some things never change. Or at least they won’t be changing in the near future. There is good news for Shelby GT500 fans that came out of the New York Auto show this week. Mustangs Daily is reporting that the Shelby GT500 will continue on as a model well into the Mustang’s next generation. In an interview on the floor of the New York Auto Show this week with Shelby American president John Luft, he told Mustangs Daily that the company's relationship with Ford would continue through 2015 and beyond thanks to a recent contract extension. With gas prices approaching the $4/gallon mark, many musclecar enthusiasts have wondered what would happen to cars like the Shelby GT500 that is powered by a huge 650 horsepower 5.8-liter supercharged V-8. But muscle car fans can be assured that the Shelby GT500 isn’t going away. Luft went on to explain the strong relationship between Ford and Shelby. “When something works you just don’t change it,” he said. “Clearly, having a Shelby in their stable as their halo car has really worked for them. Ford Motor Company loves it, their dealers love it, and we love it. It gives us a great platform. So we need Ford Motor Company to develop great base cars,” Luft said. 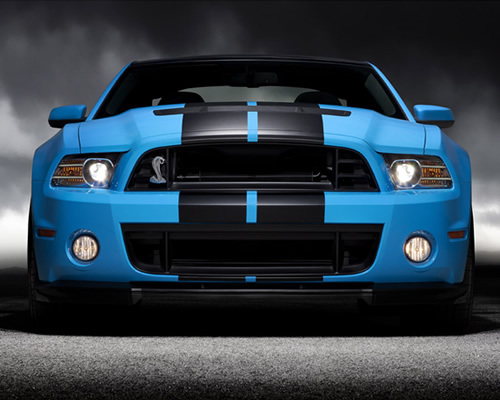 The 2013 Shelby GT500 was unveiled at the Los Angeles Auto Show in November 2011, and is the most potent Mustang ever. The 5.8 supercharged V-8 engine pumps out 650 horsepower and 600 lbs/ft of torque. In February, at the Chicago Auto Show, it was officially announced that a convertible version of the 2013 GT500 is in production. And just last week at the New York Auto Show, Shelby American unveiled its newest car, the Ford Shelby GT1000. It requires a pre-existing 2012 Shelby GT500, and two packages are available, the Track S/C version or the Street Legal version. The S/C Package delivers over 1100 horsepower, while the Street version develops 950 horsepower. Things are alive and well at Shelby American. Luft went on to explain that Shelby will continue to focus on small production runs of cars like the GT350, GTS, and the GT500 Super Snake and leave the large scale operations up to Ford. “We could never produce the volume that they produce,” he told us. “We’ve sized our business to build 500-600 cars per year. That’s our sweet spot. And sweet it is for Ford, SRT, and Chevy fans that the competition will continue. Check out the Shelby GT1000 track attack video.